In an effort to encourage parents to spend time with their children in literacy pursuits, another K teacher and I implemented the use of Home Literacy Kits. Beginning in September, students chose one literacy kit to take home for the duration of one week (Monday-Friday). Students had this opportunity approximately 1-2 times each month. In addition to participating in fun, hands on activities with their families, students also gain an understanding that reading can be for enjoyment (through use of fictional stories) and for gaining knowledge (through the reading of non fiction books). They may also gain an increased acquisition of pre-reading skills (left to right progression, letter/sound knowledge, phonemic awareness, rhyming, syllables, etc). Parents will hopefully learn about the joy of being involved in their child's education and continue active support through each grade level. 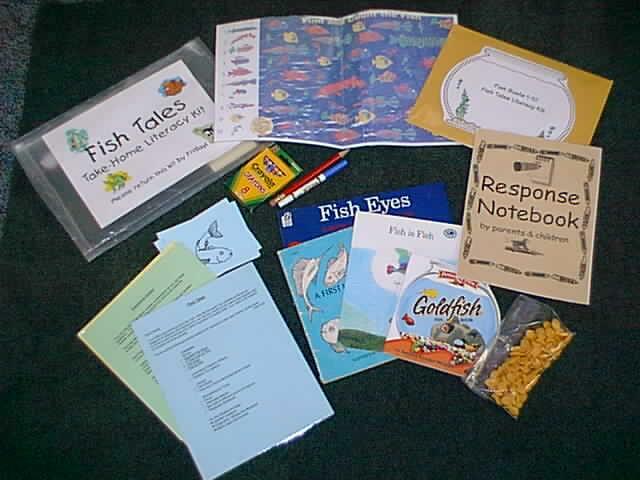 Each Home Literacy Kit contained 3-5 books (both fiction and nonfiction related to a theme) and extensions for literacy, math and/or science. Most materials for completing activities were located in the kit along with directions and a materials list. 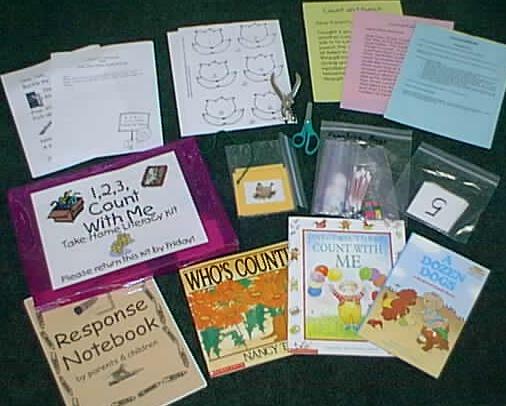 Want more information and ideas for Home Literacy Kits? Check out the following resources! 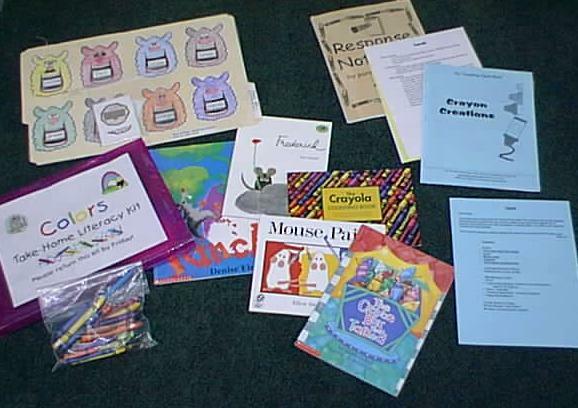 Mrs. Gail Dixon (a fellow kindergarten teacher) and I purchased materials, created activities, and assembled the literacy kits for our students from the grant money we received from the Plainfield Community School Corporation.